Back in 2004, Red Hot Chili Peppers singer Anthony Kiedis released his fascinating autobiography Scar Tissue. Now, a decade later, his bass-slapping bandmate Flea is set to follow with a memoir of his own. His move from a "normal" upbringing in the suburbs of New York to Los Angeles to live a bohemian life with a jazz musician step-father; his young, rebellious life on the streets of LA where he befriends Anthony Kiedis and founds the Red Hot Chili Peppers with Kiedis and two other high school friends; details about his sometimes complex friendship and collaboration with Kiedis; his myriad experiences with hard drugs; and, of course, the tumultuous creative journey of the legendary Red Hot Chili Peppers through its various incarnations over the last 30 years, according to Flea. 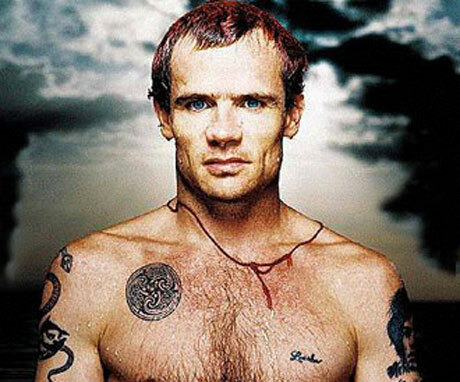 Flea has also played with bands like Jane's Addiction, Thom Yorke's Atoms for Peace, and Damon Albarn's Rocket Juice and the Moon. He's known for performing unplugged at the Superbowl, unclothed at Woodstock, and appearing in numerous Hollywood movies (including Fear and Loathing in Las Vegas, Back to the Future Part II and III, the '90s remake of Psycho, and The Big Lebowski).